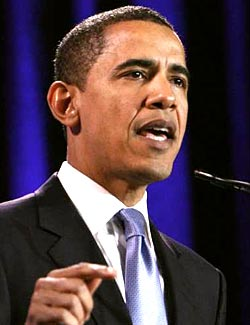 On March 18, 2008, as Barack Obama rose to the stage in Philadelphia, political commentators were on pins and needles over how he was going to address the fiery sermons of his long-time friend and mentor, the Reverend Jeremiah Wright. With an eye toward a more perfect union, the soon-to-be president offered his initial thoughts on the current state of race relations in America. "The fact that so many people are surprised to hear that anger in some of Reverend Wright's sermons simply reminds us of the old truism that the most segregated hour in American life occurs on Sunday morning." Soon after the Civil Rights Movement came to an end, James Cone had been the first to write of this "old truism" when he introduced the world to something he called Black Liberation Theology. Centuries of slavery, discrimination, and violence had stained the canvas of America's racial divide, but laws now required the immediate and full integration of public life. For those still angered by past and present oppression, there was only one place of refuge where the government would not intrude: the black church. And Cone would become their primary theologian. Rarely seen in small towns and rural fellowships, black liberation has been relegated to the inner city neighborhoods where the poor reach out for anyone who will give them hope for a better tomorrow. 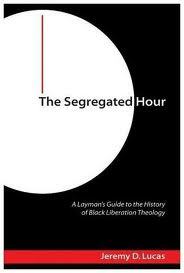 Whether the preachers of liberation have been truly held accountable for the accuracy of their message is the subject of great controversy, but there can be no productive dialogue over such matters until those who would cast judgment first acknowledge the honest and often tragic history that has created this most segregated hour of American life. (A More Perfect Union by Senator Barack Obama). The Segregated Hour, Copyright © 2009, Wipf & Stock Publishers. All Rights Reserved.